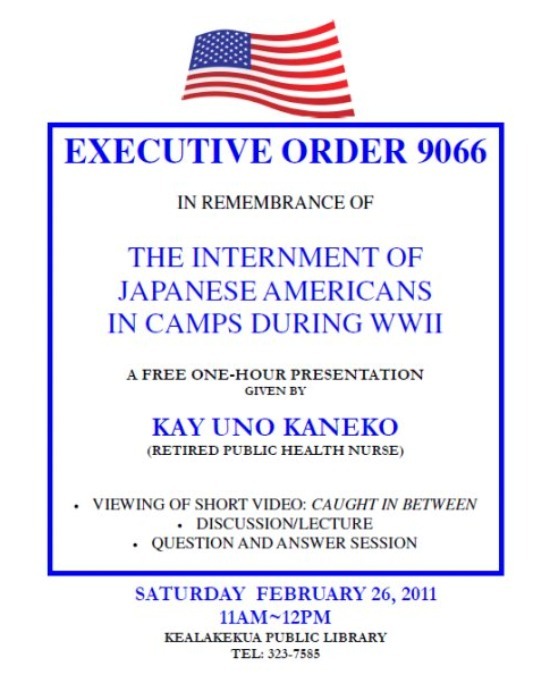 Kealakekua Public Library hosts a free one hour presentation given by Kay Uno Kaneko. This program is in remembrance of the Japanese Americans sent to Internment Camps during World War II by Executive Order 9066. There will be a viewing of a short video titled Caught In Between, a discussion lecture, and question and answer session. For more information contact the Kealakekua Public Library at 323-7585.